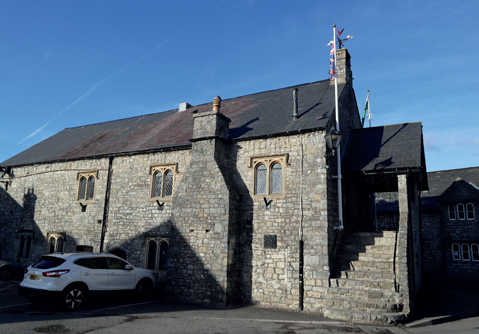 The Town Hall is owned by the Llantwit Major Town Council. The Town Hall was originally a Norman Manorial courthouse. It then functioned as a meeting venue for the courts to organise duties and collect rents. It was renovated in the late 15th century and over the years the lower floor functioned as a school, a slaughterhouse and a jail and the top floor a venue for church meetings, leased to Oddfellows in 1845. It was taken over by the first Parish Council in 1894. It became a Grade: II* listed building on 22 February 1963. The Town Hall is now open to all members of the community. The Hall is situated off Boverton Road, Llantwit Major, CF61 1TF at the junction of Burial Lane and Church Lane. Children’s Parties, Weddings, Jumble Sales, Acting Classes, Christenings, Exercises Classes, Social/Fundraising Evenings, Fashion Shows, Pantomine, Entertainment Shows, Business Meetings and Training Events. The Town Hall has a main hall on the first floor which has a maximum capacity of 140 seated at table or 240 dancing or closely seated. These figures include helpers and performers and the figures cannot be exceeded. Please note there are steep steps up to the main hall. There is no disabled access. The Town Hall facilities include a kitchen and downstairs toilets. 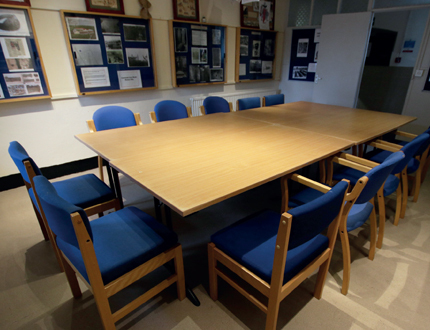 In the Ground Floor as well as the Town Hall offices there is an additional room for hire. This is called the Heritage Centre. This room is ideal for small classes and meetings. There are four tables which will seat a maximum of 15 people. 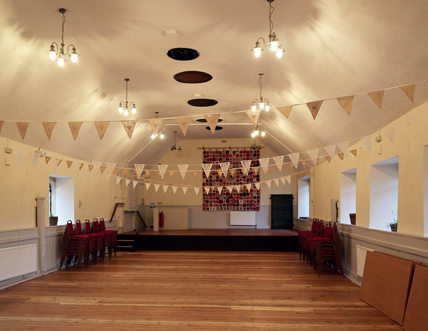 The Town Hall Room and the Heritage Centre room are normally available for hire for use between the hours of 9am and 11pm weekdays and Saturdays 9am to 10pm on Sundays. The Hirer should not be under the age of 18 years old. The Main Hall is situated on the first Floor. It has been extensively refurbished in 2017/2018. Access to the Hall is via steep steps so unfortunately there is no disabled access. There is access via steps to a kitchen and toilets located on the ground floor of the building. The Hirer can book the Town Hall for sessions of 3 hours a time. Sessions are available in the Morning, Afternoon and Evening. A Session in the Town Hall is £39.00 per session. Further reductions are available if you wish to book regular weekly, fortnightly or monthly sessions. 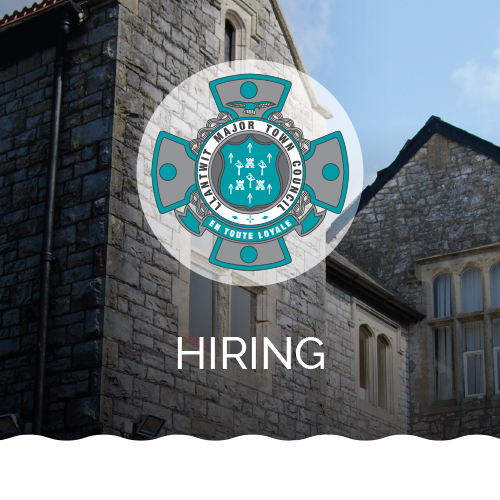 Contact the Town Hall directly for further details of regular hirer’s fees. The Heritage Centre is situated on the Ground Floor of the Town Hall. There is access to a kitchen and toilets, however it is not suitable for disabled access. The Hirer can book the Heritage Centre for sessions of 3 hours a time. Sessions are available in the Morning, Afternoon and Evening. 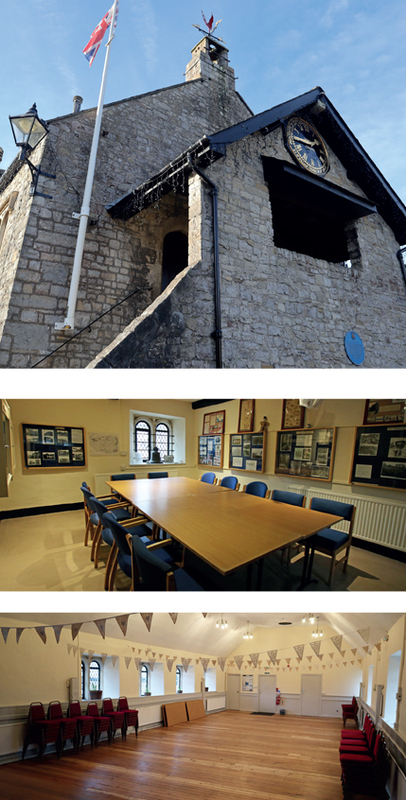 A Session in the Heritage Centre is £12.00 per session. Calendar for availability and then contact the Town Hall during Office Hours (9:30am to 1:00pm & 2:00pm to 4:00pm -Monday to Friday) to discuss the Letting Agreement and finalise hiring charges.